British High Commissioner to Fergus Chochran- Dyet says he is concerned with the British nationals’ safety in Chingola. Mr Cochran-Dyet revealed that he got concerned when he received reports in the recent past that two (2) British nationals were attacked by unknown people who have not even been arrested yet. Mr Cochran-Dyet was speaking when he paid a courtesy call on Chingola Mayor Titus Tembo, yesterday September 13, 2018. “Among the many African countries, Zambia is known to be a haven of peace but what happened to those who were attacked with machetes was so unfortunate and the security wings need to be beefed up so that people have confidence that the District is still safe to live in. “Over 800 British nationals live in Zambia and most of them are in Chingola and that gives a much concern as the British Government to hear such reports in this District,” he said. He said the Patriotic Front Government has come up with plans through the Local Authority to identify pieces of land for farming. 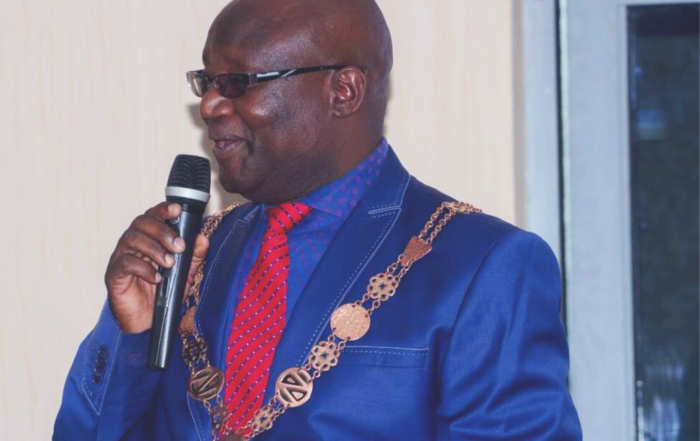 “However, we’ve seen an improvement so far in crime in the District after the coming of the new Chingola Police Chief Peter Miselo who has just clocked one year in the office. “As Government we believe and hope that when these people are engaged in farming, this will be the lasting solution to crime and illegal mining in the District of Chingola,” he said.